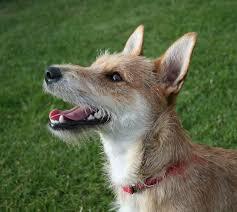 Many clients of problem dogs are afraid that their pet, once a happy-go-lucky pup, has gone bad. Or they fear that an evil gene is now beginning to express itself, or worse, that they have failed their dog in some irretrievable, unredeemable way. As I go on to assure them that there is nothing constitutionally wrong with their dog, that their dog’s output is simply recapitulating its input according to principles of thermodynamics, which to me is great news since it means that it’s a law of nature that their dog can be healed, some sigh and say “I hope you’re right.” Unfortunately however hope won’t do us any good and so I reply: “Hope is a four-letter word.” It’s the difference between saying; “I hope help is on the way.” versus; “I know help is on the way.” What we need is faith. “Okay, then I will have faith in you.” Nope, we’re not quite there yet. “Don’t put your faith in me, have faith in your dog.” A dog will always choose flow over fear once he can feel it. Our job is to help him feel it. Then help IS on the way. How do you deal with fear using the Theory of thermodynamics? What is a protocol to show a dog a better way? In my thermodynamic interpretation of behavior, fear is the collapse of a state of attraction. A state of attraction arises from the confluence of the balance and hunger circuitry. If balance is stronger than hunger, the dog is susceptible to a collapse when the rate of change becomes too high for his comfort zone, which is marginal. What makes a collapse frightening is the dog’s perception of falling, literally, and this is conjured up from the physical memory of an intense rate of acceleration, which is how a dog perceives a stimulus, i.e. being stimulated into motion. I call these sensations. If hunger is stronger than balance, then the dog is impervious to these sensations and instead experiences the stimulation of the stimulus as arousal and his body feels sensual. So what’s gained by this understanding is that we can see that fear is a complex construct, there is no such “thing” as fear per se, as if it is a monolithic and fundamental building block of emotional experience. Rather there must first be a state of attraction that collapses and thereby produces a powerful cascade of “ungrounded” sensations. Therefore we can strengthen a state of attraction through the five core exercises so that the dog’s threshold of collapse is raised until it experiences the provocative event as a normal spike in an overall feeling of flow, like a modulating amplitude in a signal embedded in a radio wave. In other words we can turn static into information. 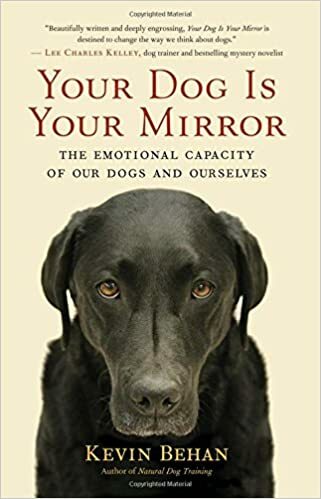 The capacity to sustain a state of attraction is based on a feeling of grounding, a literal projection of the body’s physical center-of-gravity into the object of attraction and which is then fueled by the dog’s hunger circuitry. (This is the basis of a sexual drive which can then evolve into an affiliative relationship.) Change when in the hunger modality is perceived of as good because it heightens a state of arousal. 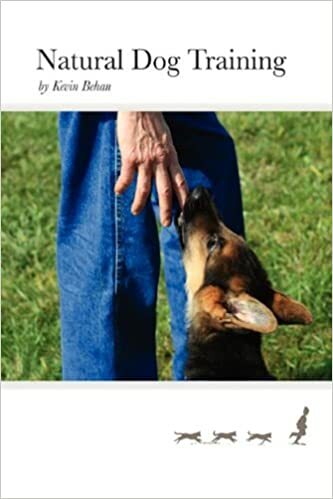 The five core exercises strengthen the dog’s feeling of grounding so that the stimulation cannot overwhelm the dog’s balance circuitry and he can perceive and respond through his hunger circuitry. Whereas too high a rate of change in balance circuitry collapses the state of attraction. A dog can easily learn impulse control when aroused, but cannot (other than being left in a profound state of conflict) when stimulated. 1. What are the 5 core exercises? Bark, bite, push, pull, making contact? 2. What exactly is the difference between an aroused and stimulated dog? For me as German, it means the same. But how can we differentiate if a dog is “aroused” or “stimulated”? The 5 core exercises are Push (projecting force)–Collecting—(absorbing force)—Bark–(project and absorb force in one locomotive cycle)—Rub-a-Dub–(grounding force in the shoulder blades)–Bite/Carry—(complete the emotional cycle to the DIS point at center of circle). These exercises develop a dog’s capacity to rotate its shoulders in all axes/planes so that it can easily integrate objects of attraction/resistance into its locomotive rhythm (which serves internally as a metric of well-being) and sustain a state of attraction by being able to oscillate between projecting and absorbing force in mirror image to what it’s attracted to. Because of this shoulder flexibility the dog feels in motion even when restraining itself from movement. This is because it is able to subliminally referent its breathing in a deep metered way as a facsimile for movement. Its vagal tone is improved and its body feels whole and sensual. This then induces the object of attraction/resistance to reciprocate in kind since all beings have the same definition of well-being and are able to communicate and integrate via this internalized rhythm of locomotion. I make the distinction between stimulation and arousal due to the balance/hunger continuum by which the animal mind is configured. So stimulation is when the dog is knocked off balance, displaced from the emotional stasis of whatever mood it was in. Arousal on the other hand is when it feels physically connected to stimulus via emotional projection of p-cog and so is able to mirror via the whole body/relaxed forequarters described above. A stimulated state only wants to return to neutral, an aroused state wants to integrate and realize more energy than was previously in hand so that the new state of equilibrium holds more force, i.e. coupled wave forms. To boil it all down, the five core exercises give a dog a feeling of movement that he can then associate with a calm breathing pattern, and then he will concentrate on breathing calmly rather than physically moving or reacting when the circumstances might be too tense. That last response was amazing! Please do a couple posts about theory in that voice it helps so much to hear the dynamics in more everyday, familiar terms, even though t doesn’t speak to the thermodynamic foundation of the behaviors. I don’t know if I have another one in me but I’ll give it a shot. I am sure you can. Easier language would help many more dog owners to understand your method and their dogs motivation, instead the scientific background.